Monetize Adult Mobile Traffic with First Mobile Cash! : $100 BONUS for each referred sign up in January 2016! 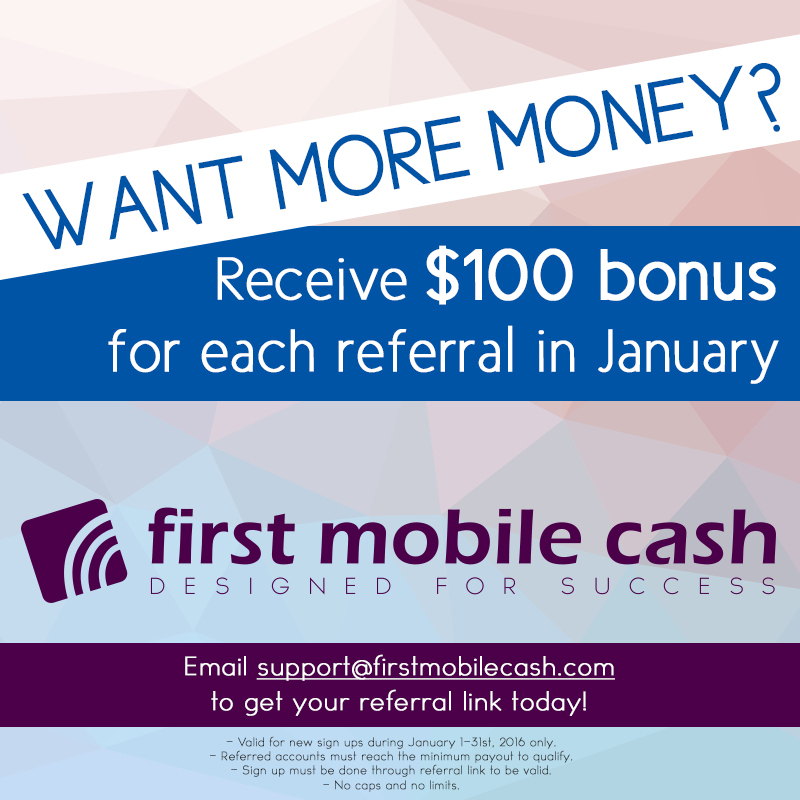 $100 BONUS for each referred sign up in January 2016! Was Santa not good to you? Are you broke from the holidays? Get an extra $100 bonus for each referred sign up in the month of January. There are no caps and no limits for this promotion! 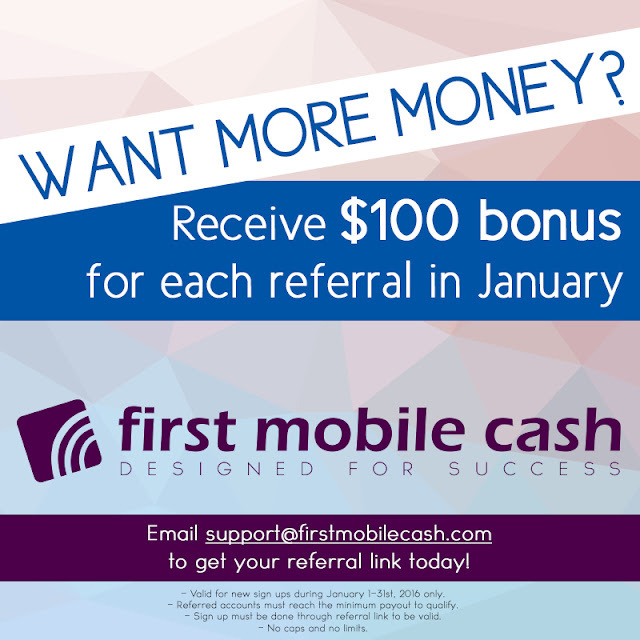 Email support@firstmobilecash.com to get your referral link today!